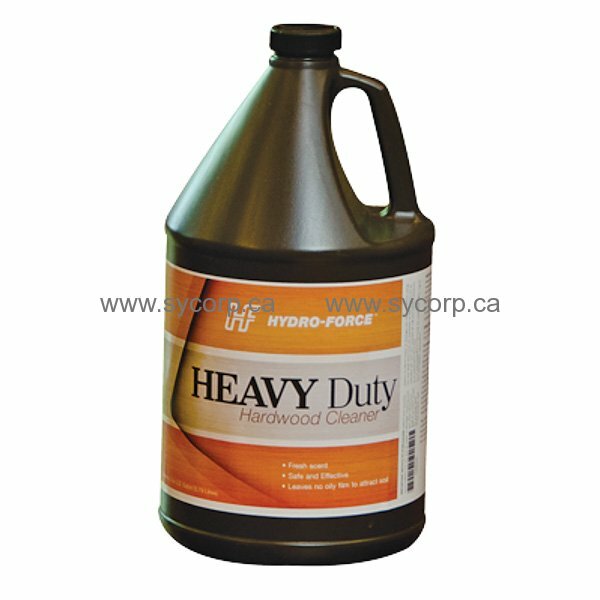 Heavy Duty Hardwood Cleaner is designed to only be used with the extraction cleaning system in an extraction machine designed for wood. It is an aggressive cleaner that should not be used as a prespray. It must be neutralized by a follow-up extraction with Hydro-Force Wood Fresh Hardwood Cleaner. Its purpose is to thoroughly clean the surface finish of the hardwood floor, but also prepares the base finish temporarily to assist the bonding of the preservation finish to the existing finish.